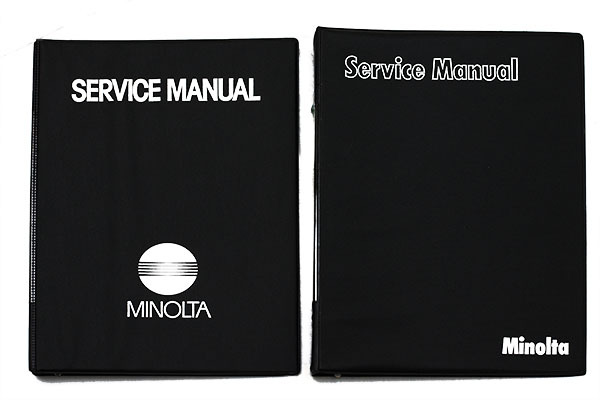 Copies of actual Minolta service manuals to help you keep your gear running great! I have endeavoured to obtain copies of service manuals to make available to site visitors. If you have any more, please Contact Me so that I can obtain them from you to make available. Downloading the manuals consumes considerable bandwidth, and accordingly I would ask that you only download the manuals you really need. This will ensure that all users can access the information as required. The manuals are provided free of charge, however I would appreciate that if you do download one that you consider making a small donation to the Rokkor Files Hosting Fund to help support the site. Any amount will help me continue to build the site into the best online resouce for Minolta manual focus SLR cameras, lenses and accessories. Thanks for any contributions made. Motor Drive 1 (English) 295 KB zipped pdf. Comprises parts list with exploded views and wiring diagram.